Easter 2010 has come and gone. Christians all over the world spent last weekend celebrating Jesus dying on the cross and coming back three days later by hunting for Easter eggs (and hopefully not forgetting to go to church in the meantime). But Christian or not, movies about Jesus appeal to many, and regardless of whether you believe in him as a man or the son of God (or even if you don’t believe he existed at all) his story is still a great story to adapt to film. First off, where did they shoot this? What a great location. The handheld camera makes the movie feel almost like a documentary. The cutting, however, does not feel like that. The crucifixion scene is straightforward and cuts back and forth between the distressed mother Mary and the face of Jesus. 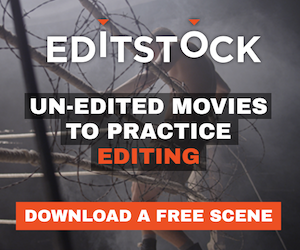 Although the cutting is not particularly smooth, it surprisingly doesn’t hinder the effectiveness of the storytelling and emotion in any way. Ok this obviously isn’t Jesus, but how can I resist a crucifixion scene involving a song (and dance, if you can call head bobbing dancing) that’s not "Jesus Christ Superstar"? In any case, the cutting is used effectively to amp up drama and then subsequently be flattened (in a good way) with comedic timing that only the Monty Python troupe can achieve. There is also a good use of reaction shots, some of which make the scene funnier simply because of how it’s juxtaposed. Yay for image juxtaposition theory in practice! 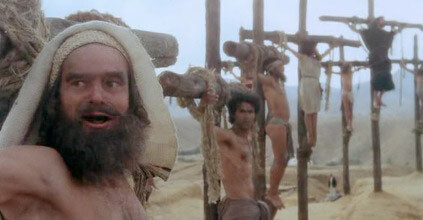 You can’t get more epic than Ben Hur. I remember when I saw it the first time. My dad suggested we watch it and the first thing that goes through my head as I say, "Ok, sure" is "Awwww man, I wanna watch the Matrix!" thinking that it’s going to be a really long and boring film. Little did I know that it’d go on my list of best films, ever. 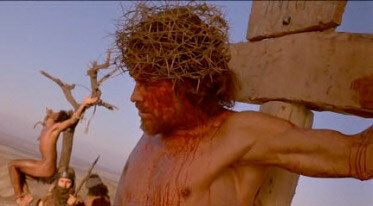 The crucifixion scene is almost peaceful, and maintains the "epic" feel of the whole film right through it. Yes, Heston’s character is ultimately a passer-by, but he is obviously very affected by what is happening. Consequently, thanks to the cutting between him and the scene around him we feel the same way watching the scene. This film is very hard to watch due to the fact that it is so emotionally powerful and overbearing that I find myself crying almost all the way through it (I know I’m such a girl). That said, the intercutting between the gory beatings and the last supper is exceptional. It gives the viewers a break from the sight of incredibly realistic-looking torture and also puts some insight into the character of Jesus while telling important parts of the story at the same time. Thelma Schoonmaker is a particular influence of mine, and here she makes no exception to showing her excellence. 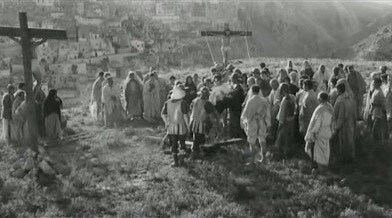 The crucifixion scene is one of the most crucial in the storyline of the entire film and it is so powerful, I think, because of the pacing. It is slow and methodical, and the viewer is sucked right into the scene and the characters. Every cut she makes tells us something new about Jesus’ character and ultimately puts the viewer closer to him by making him more human (and by "human" I mean more relatable). I have heard the story of Jesus many times in my lifetime, but the weight of his final words on the cross never really hit me until I saw this film. ...and you don’t have to be a Christian to appreciate it, either.